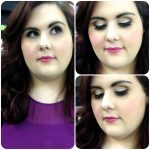 It’s been ages since I’ve done a makeup of the day or outfit of the day post, and I have quite missed making them! Unfortunately as the majority of my week is spent working, my opportunities for posting daily outfits are limited due to my work uniform consisting of a white lab coat. Today started off kind of dreary. Do you ever have those unfortunate moods in which you feel pessimistic and sour, without quite knowing why you feel that way? Yeah. That was me today. I was feeling grouchy and insecure, and thought to myself, “Megan, you need to snap out of this.” So I decided to combat this bad mood by doing my makeup and glamming myself up! 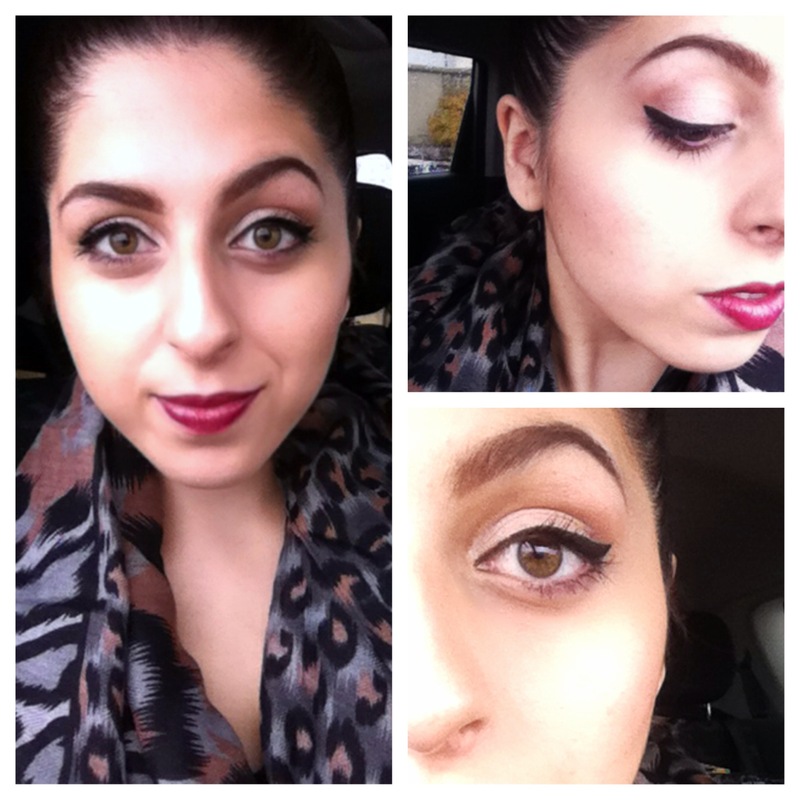 Something about a cat-eye and a bold lip always makes me feel better! For my outfit, it’s a flowy black tank top, a loose blazer, and black leggings from Zara. And, of course, I would not feel complete without a scarf. 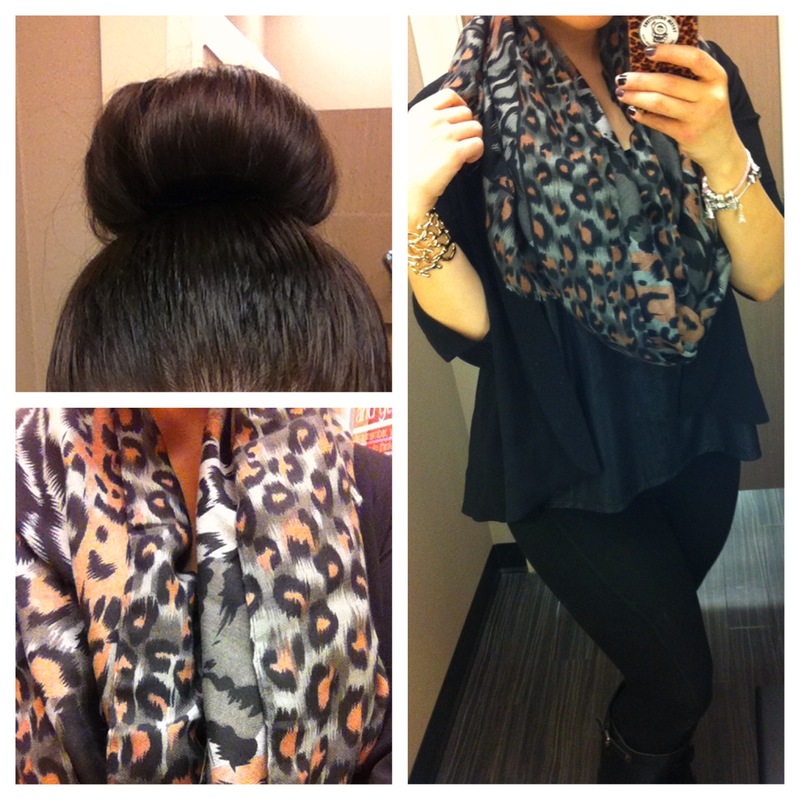 This leopard print scarf is from Winners! What’s your go-to glam look for days where you need a little pick me up? Previous Post Goodbye Class, and Hello Makeup Artistry Certification! Next Post First Attempt At Special Effects Makeup!